This effort by Equipo Navazos was selected from some Fernando de Castilla wines of an average age of over 30 years. It is one I had had in Madrid for a while, but brought home to taste in England since there seem to be more takers for sweet wine over here. It is deeply black and treacly in appearance, dirtying up the glass and leaving a brownish residue. On the nose it is all sugar and raisins. On the palate there is more candied fruit, baked and fresh raisins, a slightly menthol edge and a nice fresh finish. However I don’t find it that expressive – not a lot of the nuts, figs and spices that I was expecting. 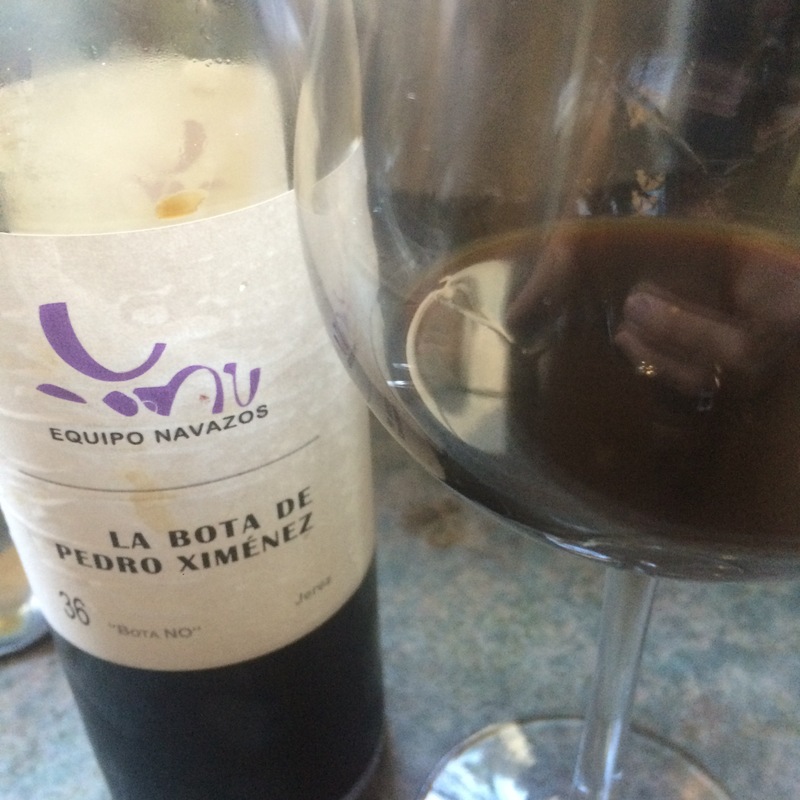 A juicy pedro ximenez with a fresh finish – but not the big puddingy wine I was hoping for.